Attention all beauty enthusiasts! 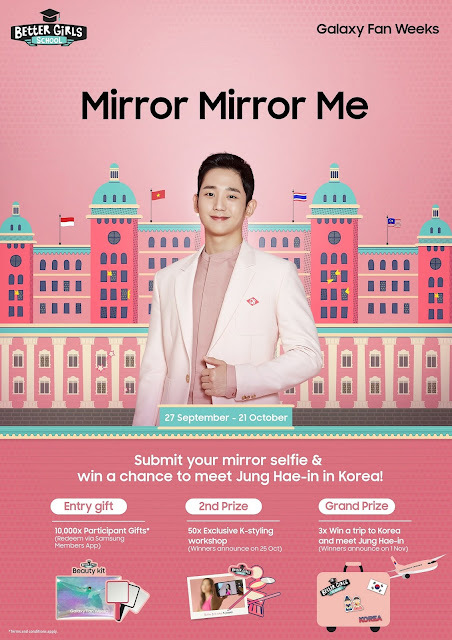 Starting today 27th September 2018 till 21st October 2018, Mirror Mirror Me Selfie contest, Samsung Malaysia Electronics is giving you the opportunity to be the next “Better Girl” and star on the popular Get it Beauty reality TV show. 1) Capture a mirror selfie photo or video in your own unique way with any Samsung Galaxy smartphone. 4) Lastly, in your post, tag one friend that you would like to share the experience with. The 50 top winners will be announced via Samsung Malaysia’s official website and social media to attend an exclusive event in Kuala Lumpur together with one friend. They will enjoy the full K-beauty experience from make-up and hair do, self-styling, to best picture shoots. 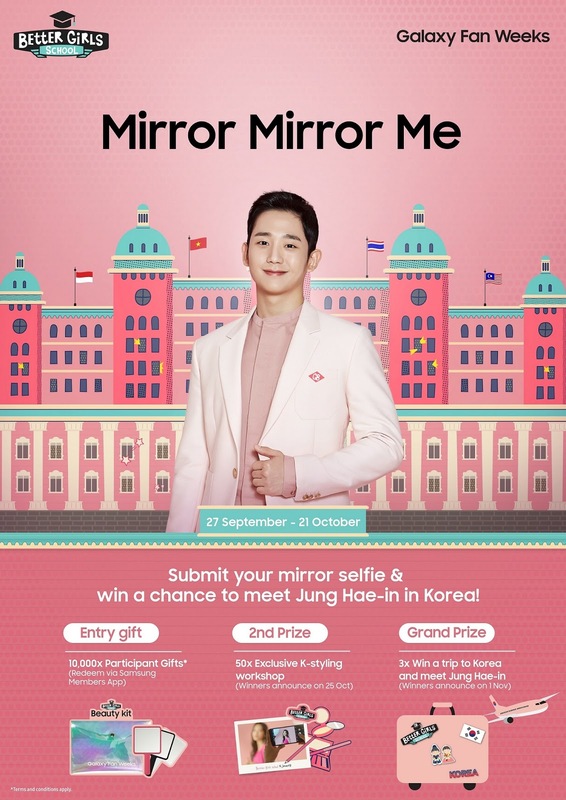 Besides learning the makeup tips from the local beauty experts and influencer, they will also have a small meet-and-greet session with a mysterious but well-known South Korean star. Don’t miss this chance to be a part of this glamorous experience. Contest starts today 27th September 2018, and ends on 21st October 2018.